Jonathan Sidener (6 December 2004). "Everyone's Encyclopedia". San Diego Union Tribune. Retrieved 15 October 2006. Peter Meyers (20 September 2001). "Fact-Driven? Collegial? This Site Wants You". New York Times. Retrieved 15 October 2006. Sanger, Larry. 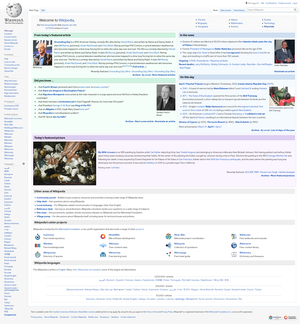 "What Wikipedia is and why it matters". Retrieved 12 April 2006.